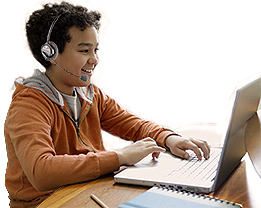 Online Tutoring Sessions have the same great tutoring services, but at a distance and time-frame that meets students' needs. Standards of Excellence uses "Zoom", a Skype style video conferencing, as our technology base. We find that Zoom is more reliable and this helps with the "distance configuration". Distance learning can be a challenge for some students, but most students and most subjects work well in this environment. We encourage students to consider this wonderful opportunity, but if they find that on-site tutoring works better, we can easily switch.